A non-government organization that assists migrant workers urged the Overseas Filipino Bank to unveil its services and programs for more than ten million Filipinos overseas lest it be accused of merely using the names of Filipino migrants in vain. “After all the hoopla prior to its creation, our overseas workers have yet to hear about any unique business or banking proposition that the Overseas Filipino Bank has to offer,” Susan Ople, head of the Blas F. Ople Policy Center said. The Ople Center visited the official website of the Overseas Filipino Bank to check on OF-oriented financial services and found none. The bank’s mission statement did not even mention the words, “overseas Filipinos”. “At a time when so many of our OFWs have come home and continue to plan on coming back, the existence of this bank would have been a huge relief particularly in availing of reintegration loans. Sadly, more than a year has passed and we have yet to hear of any innovative financial services being developed and offered to our modern-day heroes from the Overseas Filipino Bank,” Ople said. The daughter of the late Senate President and Foreign Affairs Secretary Blas F. Ople urged the management of the Overseas Filipino Bank to step up to the plate and deliver on its promises. 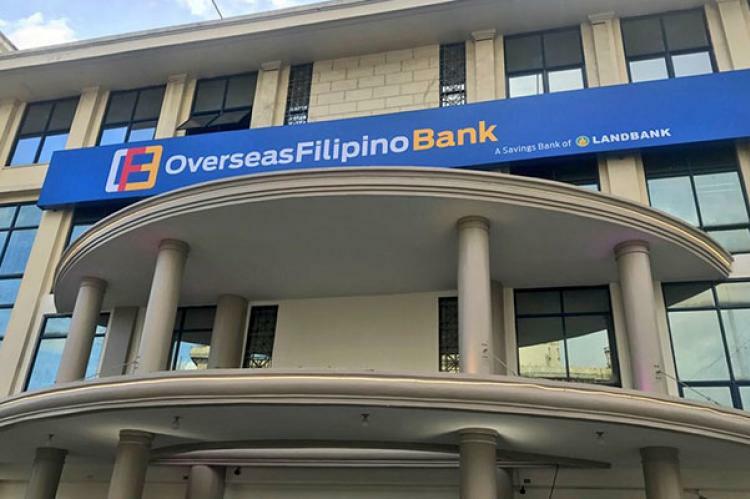 The Overseas Filipino Bank also promised through a press release found on www.landbank.com on the day of its launch to offer payment services so OFWs can pay from abroad their SSS, OWWA, PhilHealth dues, insurance premiums, credit cards, telephone and water bills and even tuition fees of their beneficiaries. “Frankly, most OFWs don’t even know where the OFBank and its branches are. After the launch, it sang it’s own version of “Silent Night”. We are now poking it through the media to check whether its purpose is still the same or was the conversion and name-change already the highest point of its existence,” the Ople Center said. A check with the OFBank’s website showed its last entry under the News and Updates category to be dated June 2018. “We expected it to be more than just a shell of a bank using the name of our overseas Filipinos. We urge the management of the OFBank and Land Bank itself to be true to its mandate to serve our modern-day heroes,” Susan Ople said.